Is the color scheme you’ve chosen for your website triggering a desired response? 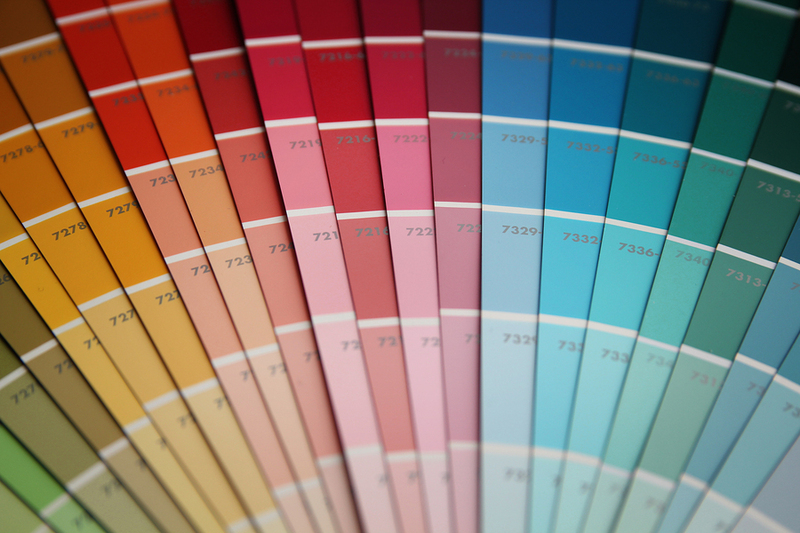 Do you find yourself overwhelmed by the number of potential website color palettes? Everyone has favorite colors they tend to gravitate toward when it comes to their work or otherwise. But a skilled designer understands the importance of evaluating a color scheme based on the brand, the meanings of the colors, and the products or services being promoted. Good color choices take careful planning. They can influence how a visitor interprets what they see as much as a site’s layout and typography — and, when done well, they can have a positive impact on each visitor’s evaluation of the brand as a whole. In this article, we’ll take a look at why selecting the right colors for your site matters, as well as 23 different color palettes from real sites that are effective in grabbing visitors’ attention. How are your website color choices affecting your users? 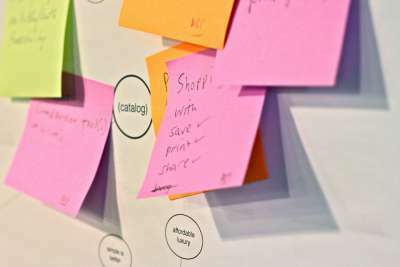 Crazy Egg Heatmaps and User Journey Recordings will answer that question in minutes. Start your Free 30-Day Trial now. Why Is Your Color Scheme So Important? Before we jump into the process of selecting a color scheme for your site, it’s important to understand exactly why your website color scheme matters so much. After all, you might be thinking that it’s the content that really matters. And that’s not untrue. People love content. They’re drawn to fresh voices and enticing information, but you have to capture their attention first. That’s where website color palettes come into play. Your site is essentially your company’s home online. That means it needs to be an accurate representation of your brand. And beyond that, it needs to be memorable enough that users will return after their first visit. After all, many of your visitors won’t be ready to make a purchase or other major conversion during their first visit — and they need to remember your company in order to come back and take those actions. Fortunately, color increases brand recognition by 80%. So, if your company already has an established color scheme, it’s essential to include this in your site’s design. This will make it much easier for visitors to immediately connect it with other places they’ve seen your brand. Plus, if your color scheme is consistent across your entire site, they’ll know they’ve come to the right place when they return, regardless of the exact page they land on. 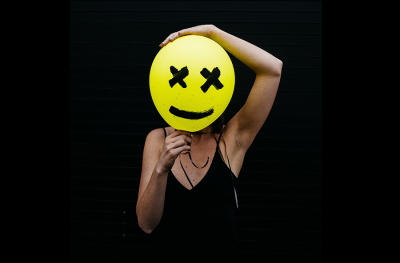 Beyond telling users who your company is, your web design also plays a major role in users’ snap judgments about your brand. According to one survey, 94 percent of respondents named web design among the primary drivers of website first impressions. Of course, web design involves much more than just color. But given that color is one of the most obvious elements on your site, and one of the only ones a user can discern within those initial 50 milliseconds, your palette can make or break a user’s assessment of your company. In another study on how consumers’ first impressions are formed, 90 percent of initial assessments are based on color alone. To a certain extent, the reason for this is clear. After all, color is one of the easiest aspects of a page to “understand.” It can be assessed almost instantaneously and doesn’t require visitors to evaluate copy or other messaging. But it’s also important to consider the role that the psychology of color plays in these snap judgments. Many companies take advantage of these connections, as illustrated by the logos in the following chart. For example, brands that want to create a sense of creativity and imagination tend to incorporate purple into their imagery, while brands that want to establish a sense of balance and calm lean toward black and white. 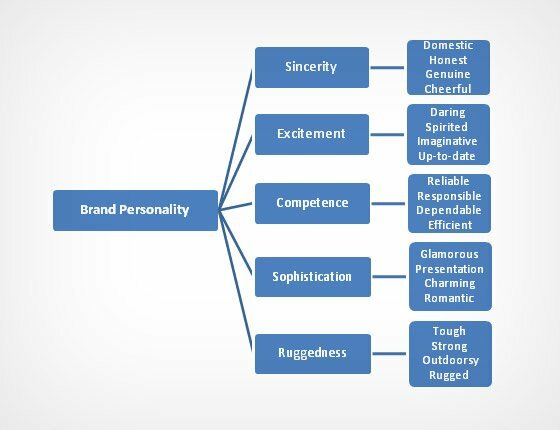 This ties directly into the “personality” you want your brand to have. And as you can see in the logo chart above, color can play a major role in showing consumers what your brand’s personality is like. Although most may not consciously realize that a company’s red logo is designed to create a feeling of excitement, it can still do exactly that. And while each color can serve to create a specific feeling or reaction, certain colors are better choices than others for the majority of brands and websites. For example, blue is often considered the safest choice. This is, in part, because it’s the most common “favorite” color among the majority of the population. 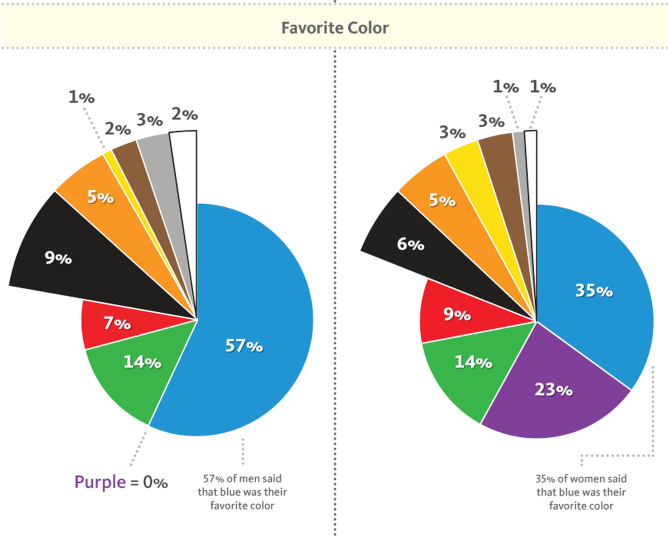 In fact, 57% of men and 35% of women say it’s their favorite color. So, if you want to appeal to a wide audience, this could be a great choice for your site. In fact, this might be why some of the most-visited sites today, like Facebook and Twitter, use it for their logos and branding. It’s also worth noting that blue is also commonly associated with feelings of trust, authority, and reliability. But that doesn’t mean it’s the best choice for every site. It all depends on the feeling you want to convey to your visitors. For example, if your brand centers on health and wellness, green could be a better option for creating that association. And if you want to get your visitors excited and drive them to take action quickly, red could be more effective for helping you accomplish that goal. 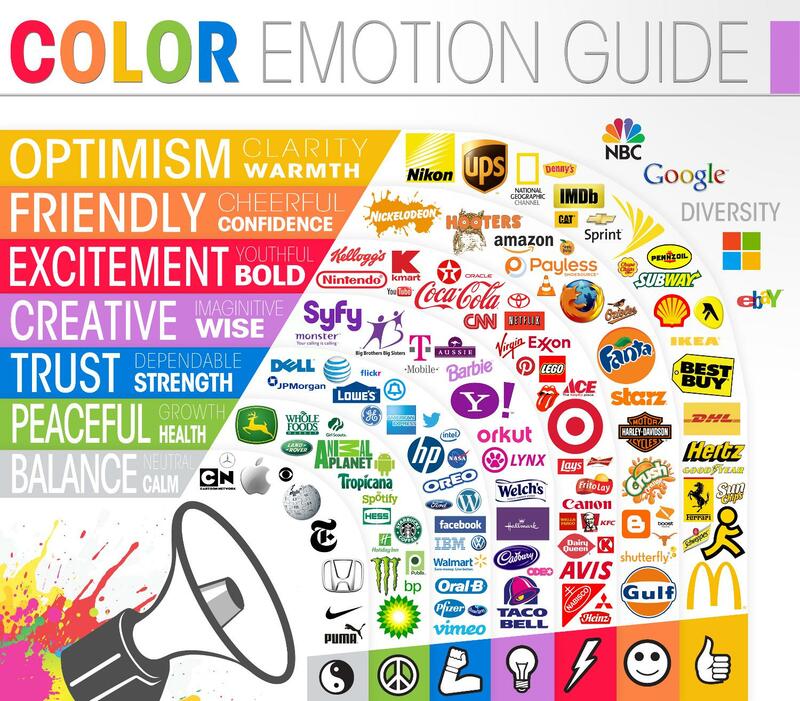 So, as you select colors for your site, consider the emotional reactions they might drive in your visitors. For example, if you’re trying to create a sense of tranquility for your yoga studio’s website, red might not be the best choice — and it’s best to know that before you invest serious money into your design. Aside from the emotional responses the individual colors you choose might evoke, it’s also necessary to consider the way the colors on your site interact with one another. 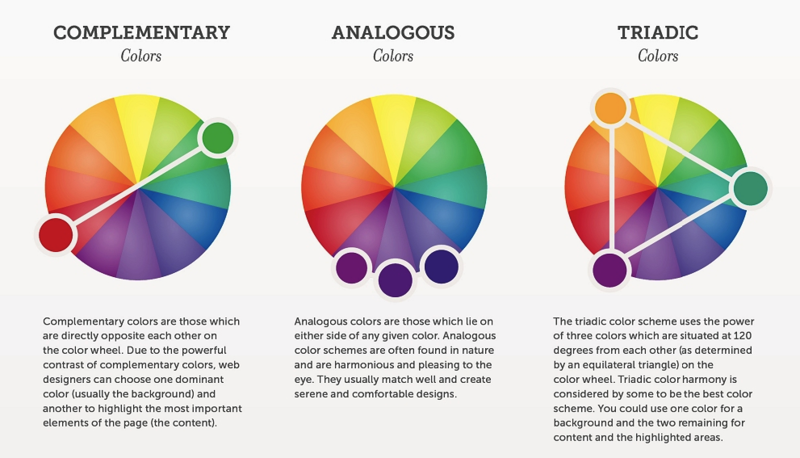 The best way to do that is by looking at a few basic principles of color theory. 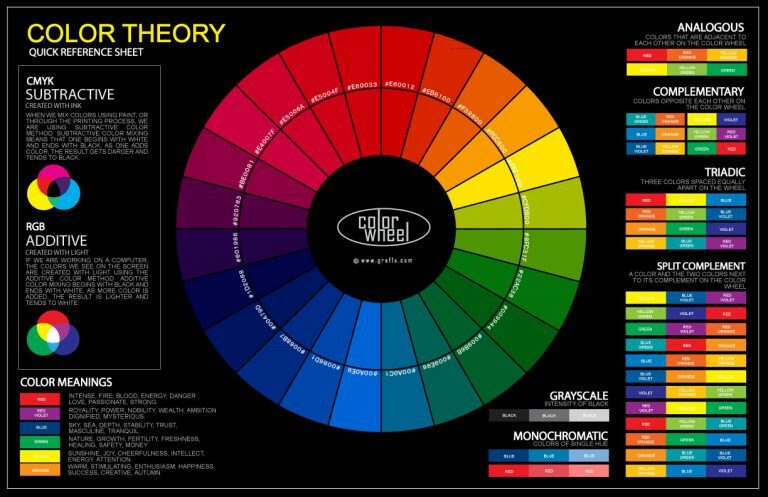 If you’ve ever taken an art class or looked at any design-related resources, you’ve probably seen something similar to the color wheel in the graphic above. The most common concept illustrated within this wheel is the relationship between primary colors (red, yellow, and blue), and the secondary and tertiary colors that are formed by mixing them together. But beyond that, this wheel can help you create color harmony or a visually pleasing arrangement of colors. A harmonious web design palette can help you establish a sense of balance and order. There are three widely-accepted types of color schemes you can use to establish this type of harmony: analogous, monochromatic, and complementary. An analogous color scheme is made up of colors that fall side-by-side on the color wheel. 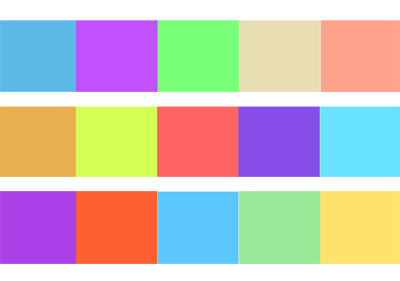 This is one of the most difficult palettes to do well since the colors can easily overpower one another. That being said, analogous color schemes are also some of the most vibrant. A monochromatic color scheme falls on the opposite end of the spectrum from the previous type. As the name implies, it’s made up of one main color, but the intensity and lightness of the shades vary. These palettes are some of the easiest to create and the “safest” to implement because varying shades of the same color rarely ever clash or feel too busy. Finally, a complementary palette falls somewhere between analogous and monochromatic schemes in terms of variety. It’s composed of colors that lie directly opposite of each other on the color wheel. So while it involves more colors, those colors naturally complement each other and won’t overwhelm visitors. Of course, these three aren’t the only types of color schemes you can create. 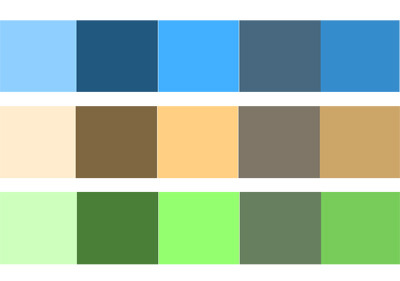 In fact, the best palette types vary based on who you ask. A triadic color scheme is one of the main options. This color scheme involves using three colors that are situated 120 degrees from one another on the color wheel. In the graphic above, those colors are orange, green, and purple. As you select your colors, remember that the types listed above aren’t definitive rules. 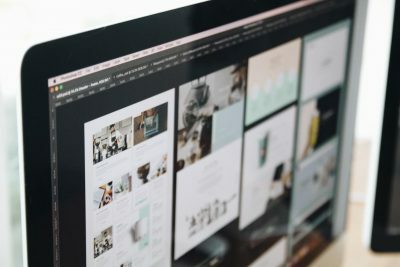 They can give you a general idea of the overall feel you want your site to have, but they’re by no means the only ways to create a palette that works for your brand. Regardless of the type of palette you go with, you can use it to create a hierarchy of the most important content on each of your pages. As I mentioned in the previous section, a defined color website palette can be helpful for signifying that certain elements are important. You can maximize this impact by keeping the Isolation Effect in mind as you determine how to use your color scheme on your pages. The general idea behind this psychological principle is that the more an item stands out, the more likely it is to be noticed and remembered. Make sure that the colors you choose give you the ability to make certain calls to action stand out on your pages without clashing with the rest of your design. This approach is in line with most consumers’ preferences, too. In two studies, Aesthetic Response to Color Combinations and Consumer Preferences for Color Combinations, researchers found that while consumers prefer color combinations with similar shades, they also favor palettes with a highly contrasting accent color. So although your accent color should have a strong contrast, it’s okay — and even preferable — if the rest of your palette is made up of relatively similar shades. This means that creating web design palettes that include one strong, attention-grabbing accent color is not only effective for isolating certain elements but is also a great way to create a combination that many of your visitors will like. When it comes to running a website or a business (or both! ), it’s always a good idea to look for ways to simplify basic processes. After all, the less time you spend on basic tasks, the more time you’ll have to spend on processes and decisions that have a bigger impact on your success. And establishing web design palettes is a great way to cut down on the time it takes to create new pages. 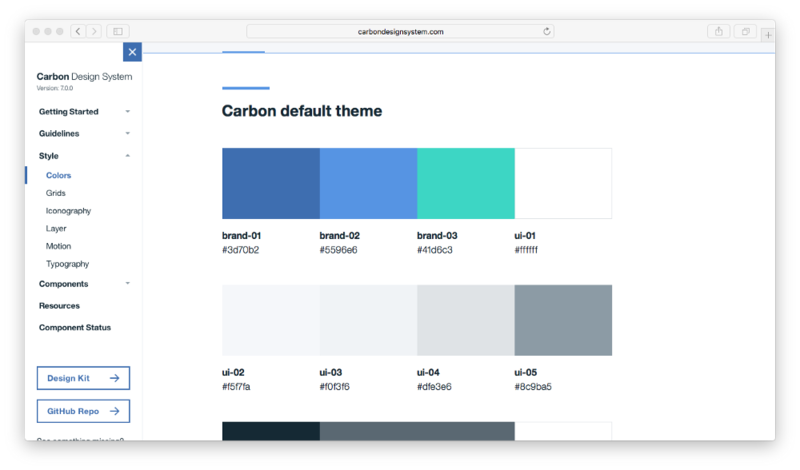 When you have an established color scheme, you make basic design choices much easier, both for yourself and for your designers and developers. When you create a user-friendly document of your palette, you manufacture an at-a-glance resource with all of the possible options for each element. This way, if you (or your designers) are having trouble determining which color to use for a CTA button, you can simply reference the document for a complete list of your options. So instead of racking your brain for all of the various possibilities, you can choose from a pre-set list of colors. And once you select a few to use or test, all of the HEX and RGB codes are already right in front of you. How many colors should you incorporate? It all depends on the complexity of your design when choosing types of color combinations for a website. For instance, if you’re using a monochromatic web design palette, you might need seven or even more shades of that color to capture enough variety on the screen. You’ll want to specify colors for specific parts of your site, such as text, links, link hover colors, CTA buttons, headings, and the best background colors for a website. If you’re not sure about choosing the best web design color palettes, check out this video I created. It walks you through practical tips for choosing a website color scheme. Ideally, website color palettes reflect a business’s values, beliefs, and purpose. Loud colors can indicate a less formal atmosphere and more excitement, while subdued colors lend a more sophisticated or formal note to the business. But that’s not always easy to translate when you’re staring at thousands of potential color combinations. 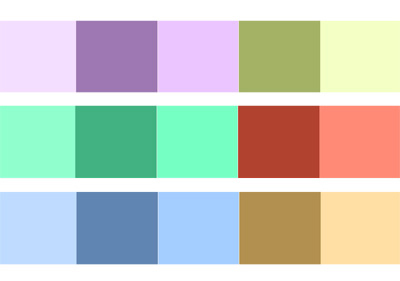 Let’s look at 23 great website color palettes that can help you increase engagement. The following sites use various website color palettes to great effect. They’re carefully chosen for the emotions they evoke and the feelings they convey. The Mea Cuppa website uses an eye-pleasing color palette that incorporates a couple of jewel tones (ruby and emerald) for maximum vivacity, but otherwise relies on a neutral, monochromatic palette of browns and greys. The web design palette evokes a coffee shop feel and is reflected in the site’s hero image, which creates cohesion. BigTop is a community that specializes in helping startups network. The site uses an unusual but extremely attention-grabbing combination of jewel tones that range from purple and blue to bright orange and yellow. The primary colors are all cool colors, which makes the warmer colors pop. You’ll notice in the homepage screenshot that the orange and yellow CTA grabs your attention before anything else. Our third example comes from Twitter visualization tool Tori’s Eye. This is a great example of a mostly monochromatic color scheme. Here, we see the effects of a simple yet powerful color palette centered around shades of green. This color scheme is often easy to pull off, as one shade of a color will almost always work with another shade of the same color. 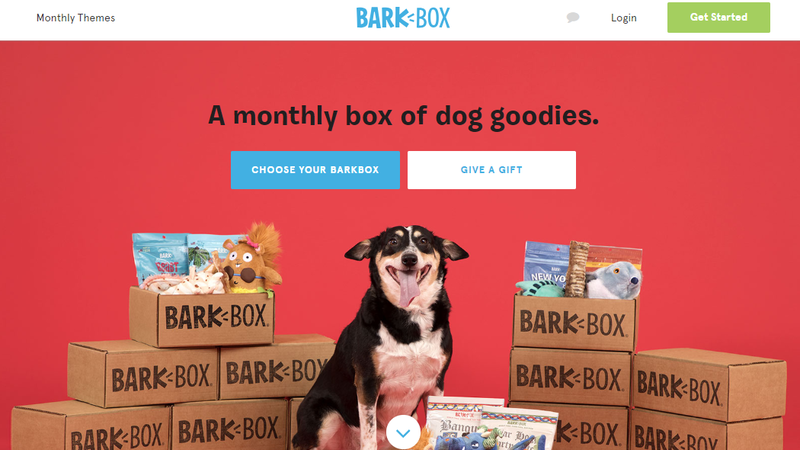 The dominant pink color on the BarkBox homepage is repeated throughout the site in different shades. It contrasts beautifully with the blue color that’s used in the logos and CTAs throughout the site. Using complementary colors to draw visitors’ attention where you want it can help improve any website color palette. Red is an extremely popular color for a website color palette. It can convey a rich mix of emotions, which makes it very versatile. 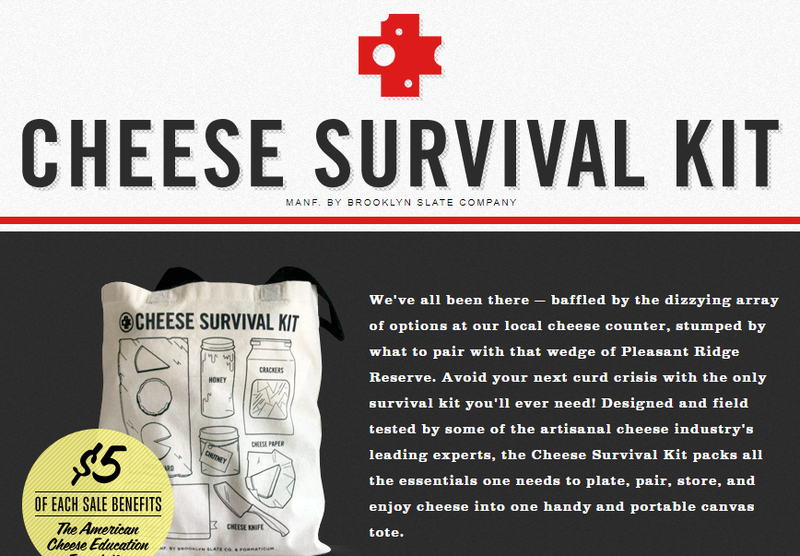 It’s particularly powerful when used in small doses, as you see on the Cheese Survival Kit website. The red is tempered with more neutral colors, and the blue helps pack a punch for CTAs and other areas where the business wants to draw the visitor’s eye. 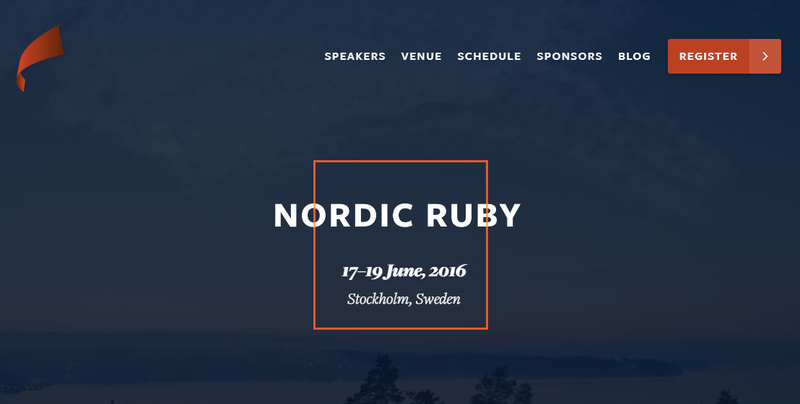 Nordic Ruby, a conference in Stockholm, has a beautiful website designed in rich jewel tones. The colors chosen for this website color palette lend it sophistication and set it apart from less impactful designs. Lake Nona is a website for a specific place — specifically one near the water. Consequently, it’s not surprising to see a blue color represented here. The other neutral colors let the blue stand out nicely. Again, there’s no surprise that a company named Lemon Stand would have yellow in its website color palette. The blues and grays pair nicely with the yellow and help temper its brightness. Mint is a website dedicated to finance, so the use of greens and blues are good choices. They help convey calmness, peacefulness, and trust. Neutral shades in the brown family make it an overall earthy color palette that soothes the senses. Odopod goes with the monotone color palette, but helps avoid looking boring with a gradient on its homepage. The large typography offers excellent contrast, and it’s obvious where they want you to click. You might notice that many companies reserve a specific color — in the case of Fiverr, green — exclusively for CTAs. It doesn’t appear elsewhere on the site. In fact, it wasn’t even picked up by ColorFav because it’s dominated by the more neutral colors. You would expect a business centered on the graphic arts to have a commanding website color palette, and Digital Photography School doesn’t disappoint. The vibrant colors help draw the viewer in. And, just like Fiverr, the orange used in the CTA doesn’t even appear on the site’s palette because it’s used sparingly for impact. Ahrefs is an example of a website that uses its color palette liberally. A darker blue serves as the dominant color, but variations of it exist throughout the site. THe same goes for the orange, pink, and teal colors. 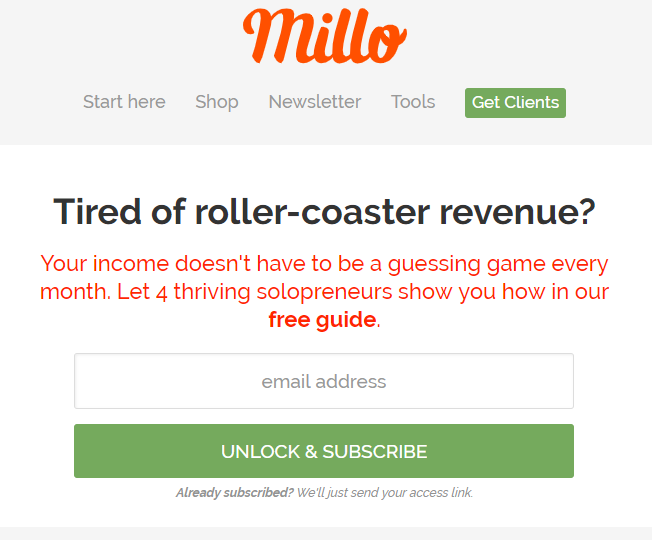 Millo.co uses a very simple website color palette, and it’s better off for it. We know exactly where to look when we visit a site like this. Some companies and individuals take the monochromatic color palette to the extreme. Brian Gardner, web designer, uses a black and white color scheme that works perfectly. It’s based on his brand of minimalism, so it reflects his values and beliefs. Soft colors can work well when you want to put the visitor at ease. Loom employs liberal doses of salmon and baby blue. It works well, especially with the darker blue color available for CTAs and other important elements on the page. You might think that all you have to do is choose a website color palette and move forward full steam ahead. That’s not the best way to go about business. Think about it. You test your CTAs, headlines, and other website elements. Why should color be any different? A website behavior tool like Crazy Egg offers the perfect opportunity to figure out how your audience responds to your current color palette. User behavior reports like heatmaps will tell you whether your colors are catching the eyes of the people who matter most — your current and potential customers. When you have raw data in your hands, you can make informed decisions about your website color palette. Imagine that you’ve created a website for an audience of sports lovers and have chosen the colors blue and pink as well as a couple neutral grays. Your audience doesn’t like it. Maybe it doesn’t convey your image well enough. Sports lovers might like bolder, darker colors and earthy tones. You won’t know until you test. Create a free Crazy Egg account to begin your free trial or log in to set up your user behavior reports. You can run multiple tests at the same time so you don’t waste hours, days, or weeks. Instead, you can capture data in real time and refocus your efforts on finding the best color palette possible. Your website color palette should not only reflect your brand, but also appeal to your audience. Otherwise, people might be turned off by your site without even realizing it. Start with what you like. Consider choosing a palette that’s different from others in your niche so you stand out. Then begin testing. It’s easy to change the colors on your site. If you know HTML, you can alter the HEX codes in your theme files manually. Many WordPress themes also come with customizers that allow you to change colors without knowing any code. Give yourself the opportunity to make your site as visually appealing as possible.